Ah, that inimitable Italian style. It’s embedded in an Italian woman’s DNA. I already had a copy of Gabriella Contestabile's first book, when I heard she was working on a new one. I couldn't wait to see what she would come up with next. Unfortunately, I hate to wait a lot longer than I hoped for as she polished this book to her high standards. No worries. I made sure I was first in line to order a copy on launch day and couldn't wait for it to arrive. 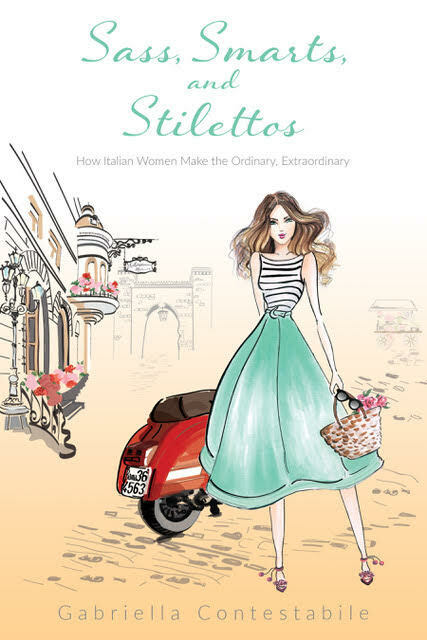 When I first heard the title would be Sass, Smarts and Stilettos, I made the assumption that it would be a fashion book covering how to add a little Italian style in my own life. The fact the author has an incredible sense of style reinforced this misconception. As I began to read, however, I quickly learned this book is actually filled with all things Gabriella cherishes about her heritage - her family life growing up filled with the culture of her birthplace; the authentic Italian food her mum prepared along with that sampled on trips to Italy; the wonderful quality clothing she learned to appreciate (both sewn by her talented mother and purchased); the fashion style she learned from her mother and from other women on trips back to Italy; the history; the art; and so much more. This book is in many ways a memoir, told as if the author is talking with the reader over a freshly made espresso at her favourite Italian cafe. We learn about all things Italian initially as we listen to her personal story from childhood forward. Gabriella's ability to vividly share important moments help them to come alive. There were times I swear I could visualize the scene, smell the aromas or taste the food. Then slowly she begins to showcase her extensive knowledge of the history of Italian art and fashion, adding examples that help to bring home important points. 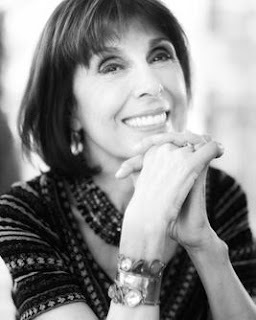 And she includes story after story about the strong, independent fearless Italian women who dared to do things their own way without apology. Her mother was one of these brave women. A wonderful read. I highly recommend it. Fab behind the scenes author interview - HERE!